Getting your spark back and feel radiantly healthy again! Are your hot flushes making you feel self-conscious and embarrassed? Do you have night sweats that are wreaking havoc with your sleep patterns and affecting your energy and mood? Or are the menopausal symptoms causing you huge emotional distress, undermine your confidence and affecting your quality of life? If the answer is yes and you would like to see if Homeopathy, a holistic system of medicine can offer you a natural solution, why not book a Free Menopause Clarity Call to see if I can help you. Homeopathy offers a natural alternative to resolving uncomfortable menopausal symptoms using natural remedies without the risk of side effects. Homeopathic remedies are safe to use alongside conventional medicine. There are no addictive properties. It’s amazing. I’ve been feeling really good. The night sweats have gone and I’m going to bed and sleeping and not waking up like I usually do. That hasn’t happened in years! (after 3 years of 4-5 hot flushes daily and nights sweats that were like “being on fire” where she’d wake up drenched with nightwear soaking wet). There is a calmness about me and people are noticing it….. I’m worrying less and I’m enjoying the moment. I have energy, I’m feel more peaceful and I’m properly laughing now. I’ve stopped catastrophizing! I don’t feel as emotionally involved in problems now. I’m not as anxious anymore. I’m not as manic or frenzied. I’m not fixating on things and I can switch my mind away from worrying thoughts. I’m sleeping better. I’m not crying and I’m much calmer now. I don’t feel menopausal! I felt hijacked by my own feelings and the menopause has been the most disturbing and disruptive time I have ever experienced. [Since beginning homeopathy] I have seen a huge change in all of the symptoms I was experiencing and a marked improvement in my overall well-being. The support I have received from Eileen has been second to none and her knowledge and expertise greatly appreciated. My sleep has improved, there are no signs of the chest tightness or panicky feelings either. The overwhelming feeling has gone and I can now take action and achieve. The feeling of being better able to cope with most things has resulted in me being more decisive and my focus is back. The fogginess has shifted and my rational thinking has returned enabling me to once again put things in perspective. I no longer feel a sense of dependency, I feel lighter and more capable and I feel empowered to do things. The hot flushes and night sweats have stopped – even after having a glass of wine! The programme has been such a positive experience and I feel I can now stand on my own two feet and cope better after our work together. In working with a woman’s natural rhythm and allowing the ageing process to occur naturally, rather than using drugs to alter the changing hormone cycles, homeopathy can help with both physical and emotional symptoms without the risk of side effects. Homeopathy offers a safe, gentle and highly effective natural treatment that works in harmony with your body to restore a healthy hormonal balance and minimise distress during this period. It’s takes a holistic approach to improving your health and recognises not everyone is the same. There is “no one pill fits all”. 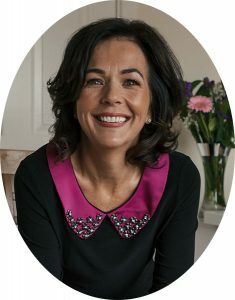 As each woman’s journey through the menopause is unique, and due to the complex nature of the symptoms that can be experienced, an in depth consultation takes place to help devise an individualised treatment plan. 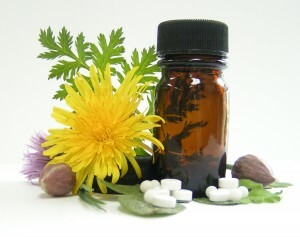 Homeopathic remedies (in pill or liquid format) are then prescribed according to your needs. These remedies stimulate your body naturally to regulate and balance hormones, improve the the function of organs that may show signs of weakness and improve your moods, energy and outlook on life. Are you ready to get your spark back and feel radiantly healthy through the menopause? With over 15 years of study and practice in Homeopathy, I have worked with a wide range of people struggling with hormonal and anxiety related ailments. I am passionate about helping them quickly get back to living and enjoying a healthier and happier life and I firmly believe homeopathy has so much support to offer. If you are ready to commit to improving your health, you can take that first step by requesting a Complimentary Menopause Clarity Call to see if I am a good fit for you. Or you can book your appointment now by email and I will be in touch with you to set up our first appointment.